A traditional holiday often involves a trip to the beach during the summer season or a skiing lodge during winter. These holiday activities take full advantage of the weather because they perfectly complement specific destinations around the world. But as tourists become too familiar with these destinations, they start to ask for more. This is the reason why near-space travel is experiencing aggressive development as companies try to be one of the first few to offer space flight to tourists. Aside from space tourism, another unique form of holiday is also gaining popularity. Although it’s not space, it’s still an amazing destination to consider. Tourists can now visit the Antarctica and stay there for a day or two. The world’s southernmost point and one of the coldest parts of the world has become a tourist destination. At first glance, reaching the South Pole can be very challenging because of its location. However, there are actually places in the southern hemisphere with easier access to the South Pole. Cape Town, South Africa is just five hours by plane to Antarctica and there are powerful aircrafts that can get to these places with no refueling required. The price tag for the vacation is $30,000 (per person) and tourists will be guided by the famous explorer Patrick Woodhead. It’s a little bit expensive but it’s a fairly reasonable deal especially with world class amenities powered by alternative fuel. You’ll be staying in tents with the latest in technology and activities include penguin watching, ice climbing and kit skiing. Deborah Sinclair is experiencing firsthand the effects of a ruined online reputation. 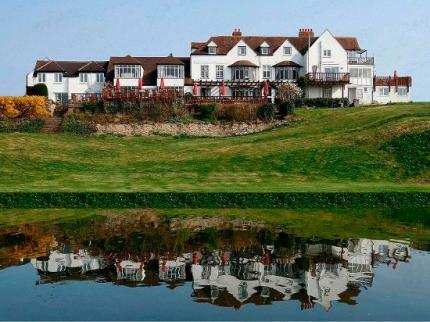 Her hotel, Riverside Hotel and Restaurant in Evesham, Worcs, is currently experiencing drastic decline in bookings because of an unintended bad reputation by a travel website. TripAdvisor is one of the largest travel websites in the world that specialize in collecting customer reviews of destinations, hotels, activities and services. Their “Red Flag” stamp is a notice to online visitors that the reviews could be fraudulent because someone from the inside may have posted the review. The website posted a tag on the hotel after it received a review from the IP address identical to the hotels locations. The website considered it an insider review which means fraud was committed. Comparing the IP address of the submission to the actual location of the hotel is one of the many fraud preventing methods used by TripAdvisor. But the hotel owner vehemently denied that she, or anyone in her family or employees have made the review. The hotel owner clarified that the review actually came from a guest but was using the hotel’s free internet access through WiFi. Because the guest is using the hotel’s internet, the website assumed that it came from an insider. TripAdvisor is currently reviewing the case. It’s not the first time that the travel website had some run-ins with hotel establishments especially with Red Flag and fraudulent tags. Deborah Sinclair is currently seeking legal actions against the website because of the financial ruins the website has done to her hotel. The most popular tourist destination in Yemen is also one of the most isolated islands in archipelagos in the world. The Socotra Archipelago is a group of islands that are part of Yemen although it’s a lot closer to Somalia in the Indian Ocean. Even though Socotra is an archipelago, the largest island represents more than 90% of the archipelago’s landmass. The popularity of Socotra is not based on the fact that it’s a very isolated island in the Indian Ocean. Because the islands are far from the mainland, the flora, fauna and animals that live in Socotra are often endemic. It is estimated that one-third of the island is endemic which means more than 30% of the plants and animals that live on the island are only found there. 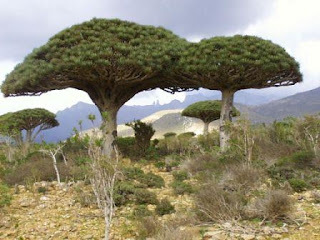 The most popular and unique tree found in Socotra Island is the “Dragon’s Blood”. It looks like a giant mushroom or an umbrella-like tree. The tree is named after its red sap and was believed to be dragon’s blood. It’s currently used as paint or even varnish because of its color. Another unique tree is the Giant Succulent Tree, Cucumber Tree and Socotra Pomegranate. The only mammal that calls Socotra Island its home is a bat. The island is full of unique looking birds and many of them are already endangered because their population is really small in relation to the island. The sparrows and warblers in the island are unique species endemic only to Socotra. Lie detectors are used to determine if theperson’s statement is true. It’s an intricate device that monitors heart rateand other reactions to the questions and the statements they make. Althoughit’s not a strong proof that a person actually tells the truth, it is used inseveral events. 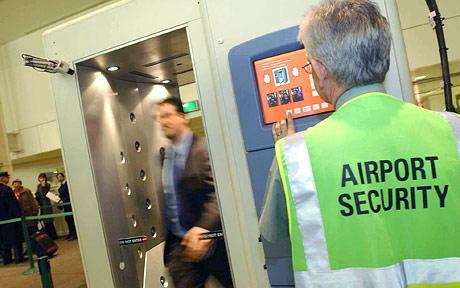 UKairports will now implement the same technology to beef up security. The uniquefeature of the lie detector in the airport is its ability to tell if a personis lying without extra gadgets or wires attached to the airline passenger. Thistype of lie detector was developed at the University at Bradford.The device was designed by Hasan Ugail, a professor of visual computing fromthe same university. The method of determining if the personactually lies through the device is through thermal imaging. The lie detectorcan detect subtle changes in the facial expression and heat coming from theperson’s body. The information coming from the thermal scanner is then fed tothe database which will determine if the person is actually lying. Testing the device in UK airports can be quite tricky especially when the public knows where the device is installed.For this reason, the authorities did not disclose the actual location where thedevice is currently in use. Some say that it may cause some privacy concernssince it can reveal more than it should especially with the use of thermaldetectors. No one knows where the detector is installed and a passenger couldbe scanned right now without being aware of the process. In the future, vacation ideas will include a weekend in space. A company based in Russia named “Commercial Space Station” is currently developing a hotel in space which will allow tourists to go on a hotel-like experience outside the earth’s atmosphere. The company is aiming for its first launch in 2016. 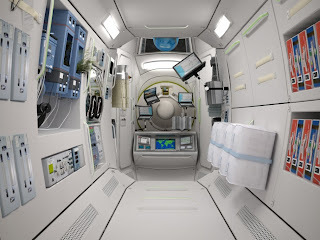 The hotel in space will be orbiting the earth just like the ISS (International Space Station). It will fly 217 miles up which should be more than enough for guests to take a good glimpse of the earth and beyond. The company estimates that the route of the Commercial Space Station will practically follow the current ISS plan. While enjoying space flight and travel, guests of the Commercial Space Station should be able to enjoy regular amenities just like any hotel on land. The only difference is that no alcoholic drinks will be allowed. The unique feature of the hotel is there is a choice of horizontal or vertical positioning of beds. The hotel will have four cabins and up to seven passengers can be on board. To get to the hotel in space, tourists will have to board the Soyuz Rocket. This part of travel alone could mean an adventure of a lifetime as it tries to fly regular passengers into space. Travel cost per passenger will be $410,000 and the hotel will cost a reported $165,000 per night. Although this sounds very expensive, it’s actually one of the most affordable space-based vacation options currently under development. Many have doubts about the cost especially with inflation but the Russian company is confident with its plans and pricing. Egypt is well known for their pyramids, exotic beaches and other pre-historic attractions. But aside from the well known tourist attractions, the country also features interesting annual festivities deeply rooted in their history and culture. Aside from festivities based on their extensive history; some of the best festivals in Egypt are from their deep religious conviction. 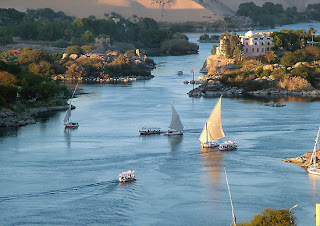 Wafaa Al Nil is a festival commemorating the flooding of the Nile. Until 1970, the Nile River overflowed and the water from the flood came with silt used to fertilize the land. The festival practically commemorates the fertilization of the land which ensures better harvest. Although the Nile River no longer overflows, locals still commemorate the flooding of the Nile through various activities. Aside from concerts, paintings and poetry, the festival also features seminars for those who want to learn more about the festivities and the Nile River. Wafaa Al Nil lasts for two weeks, usually in August or September. Eid al Fitr is a celebration commemorating the end of Ramadan. Before Eid al Fitr, Ramadan requires Muslims to go on fasting during day light hours. After one month, they celebrate the event as a reward for their patience and perseverance during the fasting days of Ramadan. During the day, families visit each other with specially made sweets and biscuits with different flavors. After visiting the family, everyone goes out to have some fun by going to the movies, the mall, a river cruise or enjoying the beach. The oldest film festival of its kind, the Cairo International Film Festival often features culturally significant films and even some political undertones because of the country’s government system. Established in 1975, the film festival continues to attract attention from well known film makers of different genres. Any Italian city and town will always have something unique and interesting to offer to tourists and Milan is not an exception. There are unique activities and attractions tourists should consider not only to learn more about the country’s culture but also to observe something different. These attractions are also educational since they provide a different picture about the locals and culture in Milan. The Crypt of S. Giovanni in Conca is one of the easiest to find, yet highly unique attractions in the city. The crypt is right in the heart of the city and found near the bus intersection. Tourists who are not aware of its historical significance will not immediately recognize it because only a wall stands today with the crypt inside. 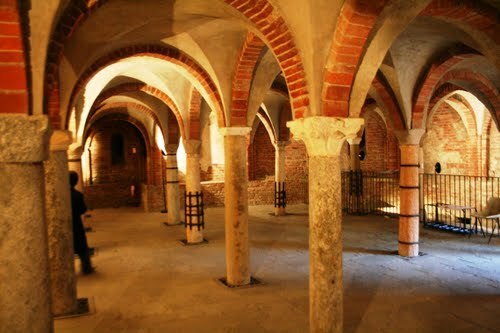 Tourists should be able to see different types of writings, inscriptions and statues in the walls of the crypt. There are at least ten markets in Milan tourists and locals can enjoy every week. These markets organize themselves so that they come together for one day to sell their produce and products. It’s the best place to look for souvenirs or purchase some ingredients if you’re looking to try some fresh meat from farmers outside Milan. Take your time to take a closer look at the city square right in front of Cardorna station. Aside from enjoying the scenery of the city, you can also learn more about Milan as it’s represented by a sculpture of a knot and a needle. According to the sculptures, the knot and needle represent the industriousness of Milan locals. Devon is one of the largest counties in West England and well known for its resorts. Tourists often visit different towns of Devon during the summer to enjoy the pristine waters or to simply enjoy the natural surrounding. It is a very popular county because most (if not all) beaches in Devon feature seas perfect for any type of sports. Bideford Bay is a very popular destination for surfers and the beaches of Woolacombe, Croyde and Staunton also share the same popularity among adventure seekers. 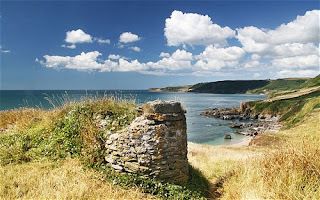 The easiest way to reach Devon is through train and air. There are numerous train stations in different towns in Devon so tourists can easily reach their destination with very little effort. By air, tourists can come in through Exeter International if they are coming from other countries or through Plymouth City Airport for local travel or smaller aircrafts. Renting a car or traveling by bus is also a good option. However, the popularity of Devon can dramatically increase traffic congestion. Renting a car could even cause additional problems during peak season because of the expensive parking fees and limit in parking spaces. Most of the resort towns in Devon are highly accessible because it will only require a single bus ride to reach the destinations. While staying in the resort town, renting a bike is a good option because of the numerous bicycle lanes. Walking is also a good option especially when enjoying the beach. Mauritius is a small nation composed of several islands in the southwest Indian Ocean. 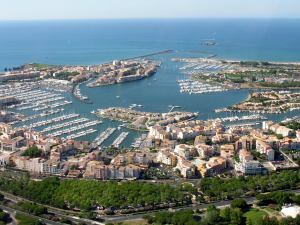 It’s an increasingly popular tourist destination because of its beautiful waters, attractive economic setting and peaceful environment. The island’s located in the southeast of the African content and its nearest neighbor is the country of Madagascar in the west. As an island, there are only two options for tourists to reach the island: by air or by sea. By Air, tourists arrive in Sir Seewoosagur Ramgoolam International Airport through various major airlines especially Air Mauritius. By sea, ferry boats from Madagascar often provide transportation for tourists visiting different islands in the area. 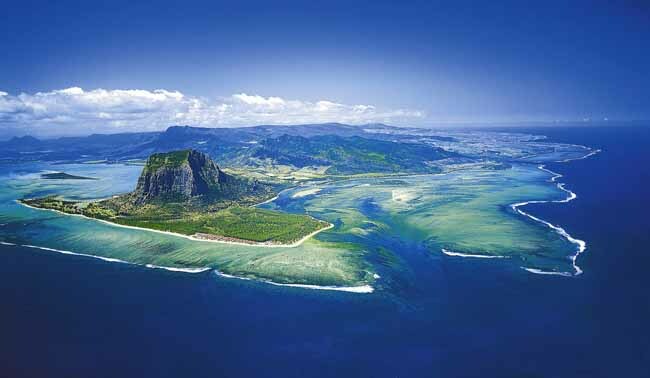 Grand Bay – every tourist visiting Mauritius should visit this picturesque beach on the main island. It’s the choice for tourists seeking a good place to stay with nightly activities that last until the early morning. Pereybere – another popular beach in the mainland but its popularity is more down to its numerous restaurants and pubs. Blue Bay – the southeast area of the island is the best part of the country when it comes to beaches. Its amazing white sand continues to draw tourists and its glass bottom boat tour is the perfect activity to appreciate the local fish. Aside from enjoying the beaches of Mauritius, other activities such as jungle safari and tours of historic and religious places will provide tourists with a better picture of the country’s past. When it comes to water conditions, the east and west coast of the island offer different experience in the water. The west is a lot hotter and the eastern portion is generally windier. 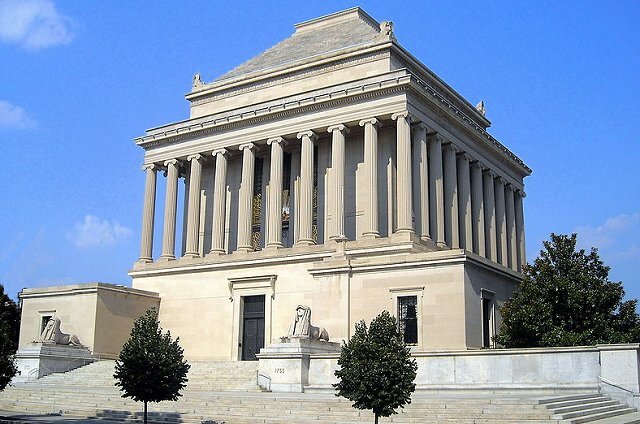 The Mausoleum of Halicarnassus is a very popular tourist destination in Turkey because it’s considered as one of the Seven Wonders of the World. Built from 353BC to 350BC, the structure was built through the commission of Artemisia II. The mausoleum was built for her late husband, Mausolus but the structure was never used as Artemisia II died two years after her husband’s death. Although the structure was not yet finished after Ciara’s death, the sculptures decided to finish the structure. Halicarnassus is the ancient name of the city of Bodrum. It’s a highly accessible city because of the local airport, ferry boats from the nearby cities (Cos and Rhodes) and bus trips from other major cities in Turkey. Bus rides from far cities usually stop in other cities and a bus change is required. Talk to the driver or bus operator if you prefer a direct trip. The best way to appreciate the mausoleum is to actually visit the site. Although it’s already in ruins, there are still free standing sculptures still standing to this day. Tour guides are available for tourists who want to learn more about the mausoleum which is very educational, especially on understanding the sculptures added in the mausoleum. According to stories, there are four sculptors who worked in the different areas of structure: Timotheus, Bryaxis, Scopas and Leochares. They all contributed on each side of the structure which is an amazing feat in itself. Because of its significance to architectural design, the word mausoleum was derived from the word “Mausolus”. Turkey is known for good weather and a hot climate however many people that visit Turkey frequently may not know about is natural phenominon the Pamukkale or Cotton Castle in English. 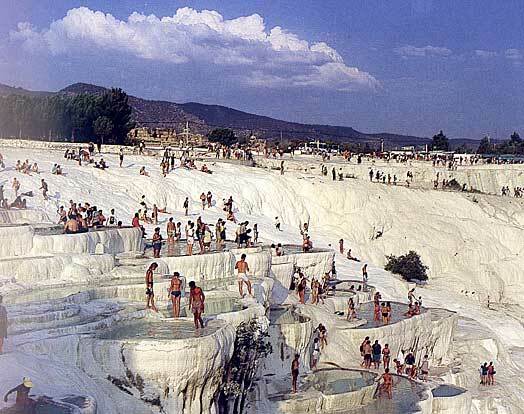 Despite the look of the Pamukkale they are actually hot springs and not snow covered mountains and are located in Denizli Province in south-western Turkey. The hot springs are covered in minerals left by the water which gives them their white look. The Cotton Castles are on top of a large mountain in the ancient city of Hierapolis. The area was a popular tourist destination for those living in the country until the mid 1900's when the area was deemed a world heritage site and all of the hotels constructed near it had to be demolished. You can still explore the area and bathe in the hot springs but due to the new laws wearing shoes in the pools in now prohibited to prevent the area being damaged. There are 17 pools in total which have temperatures ranging from 35oc to 100oc the heat is created by underground volcanic activity which heats the flowing water and pressure that shoots it out of the ground. A couple of warnings to those that are thinking of going to the area – The pools contain some tadpoles for those that don’t like swimming with the fish and it isn’t advised to go in the caves beneath the springs as they contain high amounts of carbon dioxide which could make you feel drowse.